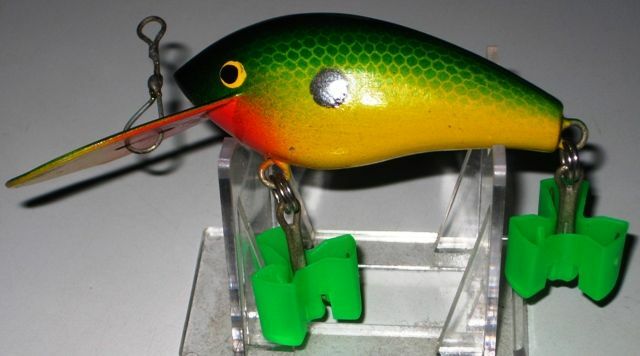 Bob Adams made 2 Deepdiving Freshwater lure models - these lures had no specific model name and were simply called "Deep Diving Freshwater Lure"
They are a well finished little unit too. 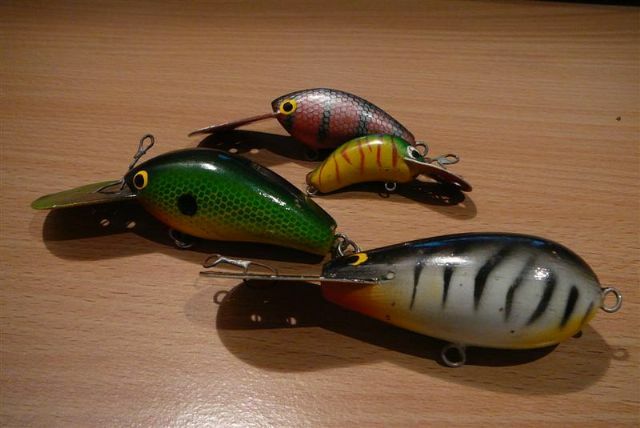 Hi Tony and Simon , They are nice collectable items aren't they Regards Pete. Now all I have to do is sniff out a 50mm model! 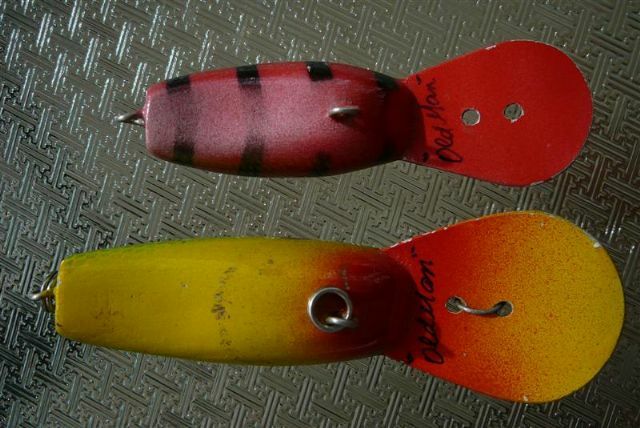 Nice lure Tony, I likr him a lot.... ..Pete. 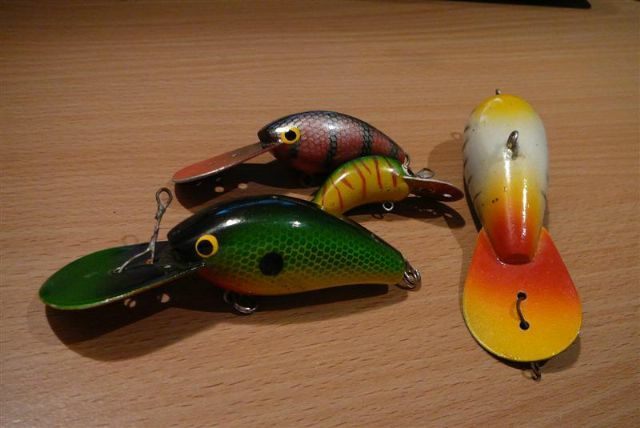 Given that I am oh so close to putting a complete set of these awesome locally made lures together I was prepared to take it to Defcon 5 if i had to! Good work Tony, did you win that in a bid of some sort? was prepared to take it to Defcon 5 if i had to! 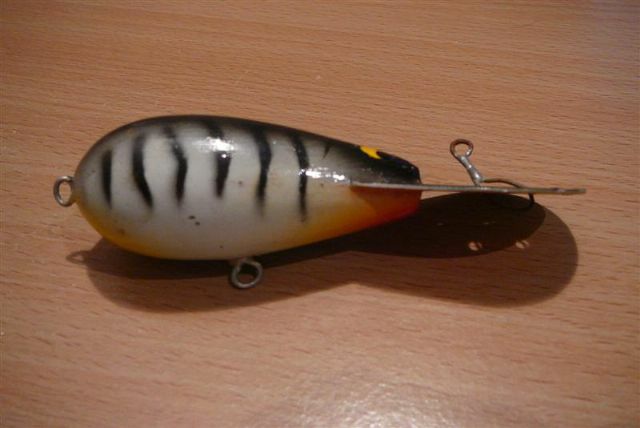 Yes it was on ebay - as soon as I saw it I was determined to get it - a phenomena I call "Lure Lust"
I think you realise by now Barry that there is a one way traffic rule for me when it comes to Old Man Lures - by the way your "ex" Old Man lures are being well looked after, especially that tasty Chop Bone! Maybe I should have put all mine on Ebay haha. You could have made me a rich man! 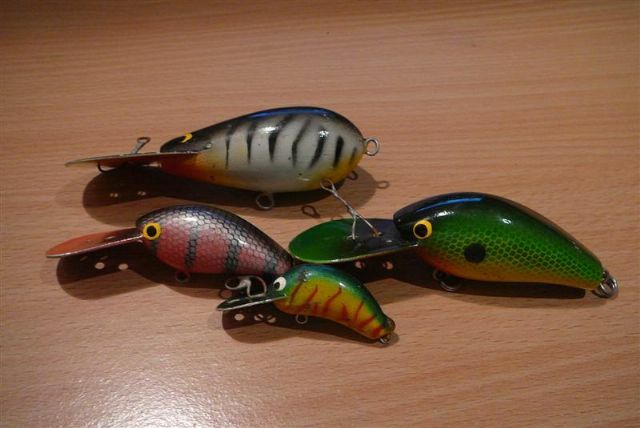 Here's a couple more freshwater models. The "Rat" and the small one here were one offs. I don't know about making you rich, although I'm certainly happy to help subsidise your fishing trips! 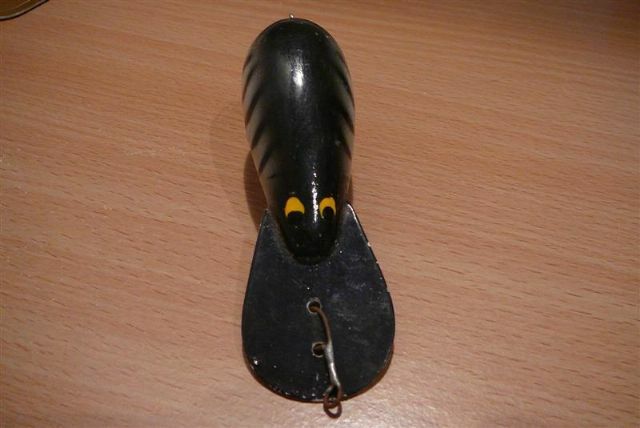 The Rat is a cracker - I bet it would cast a mile! 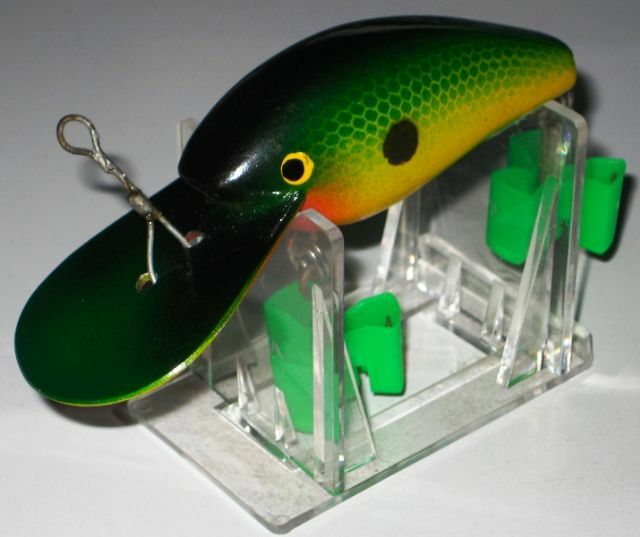 Tony the lures in those first pics of yours are awesome. 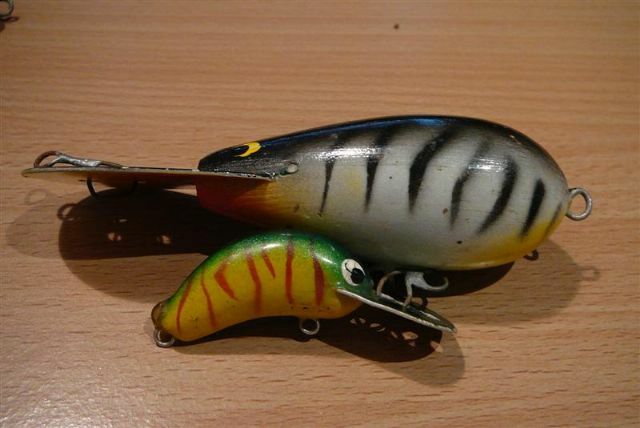 Nothing like my two Oldman Lures (kinda trout bait shaped). 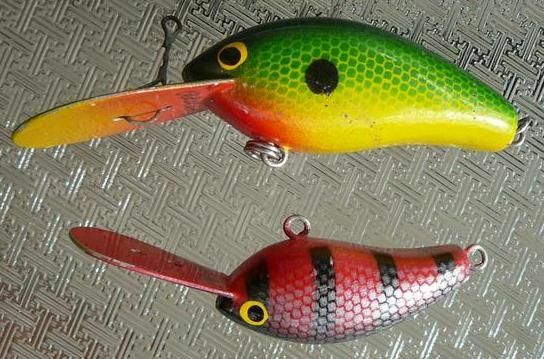 The shape and colour pattern remind me of the old Shakespeare Big S lures.